Former Gardner Museum night watchman Rick Abath is pictured at an undisclosed location in February 2013. BRATTLEBORO — Richard Abath never made a secret of his part in the story of the historic Isabella Stewart Gardner Museum heist. He talked about it as he worked on an undergraduate degree at the Union Institute & University, and he made it the topic of his senior paper. In class, he explained casually that he had been working as a guard when thieves duct-taped him and ransacked the storied museum’s art collection on March 18, 1990. “He’s like, ‘I have nothing to hide. I don’t care really,’ ” said Dana Johnson, who said she took courses with Abath, describing him as a a low-key guy, a mellow classmate. Abath’s history with the 25-year-old case came flooding back Thursday, as federal authorities made available footage of a night watchman opening the museum’s side door to let in an unidentified man about 24 hours before the robbery. Though officials have not officially identified Abath as the guard in the footage, three people close to the investigation confirmed to the Globe that it is he. The footage appears to show a guard give a man unauthorized access to the museum 24 hours before the notorious theft. It’s been known for years that Abath opened the door for two men dressed as police officers on the night the robbery took place, and was later found bound by duct tape after the paintings were stolen. He was interviewed by the FBI, but has denied involvement in the heist. Abath moved to Vermont in 1999 and graduated from college in 2010, according to the Brattleboro Reformer. 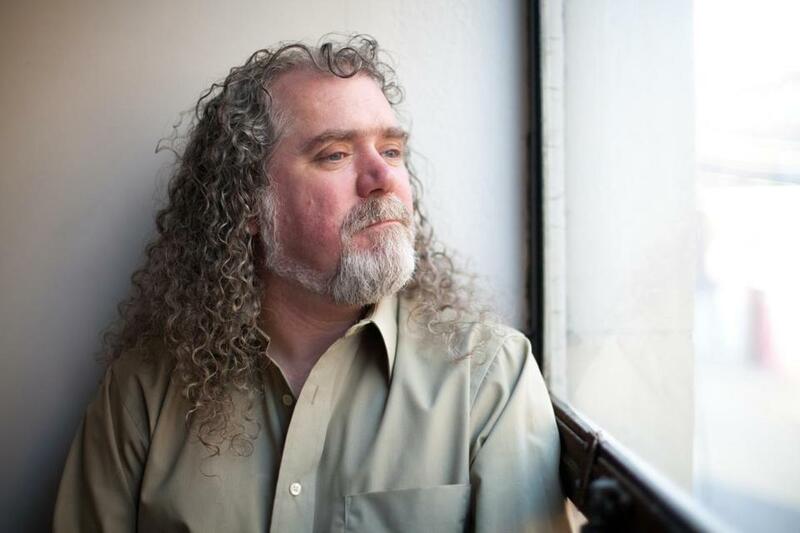 For those in this laid-back Connecticut River town who knew the curly-haired, bearded Abath, who is now in his late 40s, his backstory never came up. A neighbor recalled him as a friendly man, whose wife’s lovely singing voice rang out onto the street from their apartment not far from downtown. “I rarely ever talk to him, but he’s never been anything but kind,” neighbor Paul Canon, 53, said on Thursday. At an address listed for him at a house on Clark Street, a woman yelled at reporters that “no one by that name lives here” and to “get away from my front door.” The name Abath was on the mailbox. In releasing the new video, officials are now questioning whether the footage depicts a dry run for the heist. Two years ago, Abath told the Globe he had met with federal agents at a Brattleboro coffee shop a few years earlier, and again denied any involvement in the theft. Abath was a 23-year-old Berklee College of Music dropout and a member of a struggling rock band at the time of the heist, and he was moonlighting as a security guard. He has admitted that, at that time in his life, he regularly drank alcohol and smoked pot and also occasionally took LSD and cocaine. He said he sometimes showed up for his midnight shift at the Gardner drunk or stoned, but that on the night of the heist he was sober. That night, the two men disguised as police officers allegedly handcuffed and duct-taped Abath and a fellow guard before robbing the museum of 13 pieces of prized art. Yet investigators believe Abath’s partying lifestyle at the time could have led him to meet the kind of people who might carry out such a crime, and they’ve pointed out that studies show a vast majority of museum robberies have been inside jobs. Abath also made other curious moves prior to the heist. He had just given two weeks’ notice to quit the security job, and on the night of the robbery, about 20 minutes before the thieves arrived, Abath quickly opened and shut the door just before he replaced another security guard at the security desk. Abath told the Globe that was his way of double-checking that doors were locked. “I don’t know what the others did, but I was trained to do it that way,” he told Kurkjian. And he said he later allowed the men inside because they looked like officers. Questions have also arisen about why Abath’s footsteps were the only ones picked up by motion detectors in a first-floor gallery where one of the paintings was stolen, even though the thieves tripped detectors in other areas. 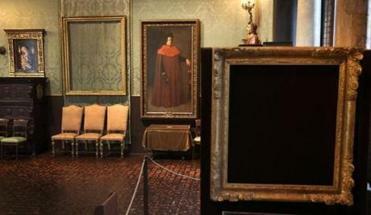 And the frame of one of the stolen paintings was found by police on the chair of Abath’s boss near the security desk. “They wanted to know if I had taken the painting and stashed it somewhere,” Abath told the Globe two years ago. According to those who knew Abath as he attended college, he was unequivocal about his innocence in the case. Alex Knight, 46, another student who said he went to Union with Abath, said it seemed like his classmate had nothing to hide and was open to talking about it. Knight remembers Abath describing what he called an honest mistake, where he accidentally let in men posing as police officers. Matt Rocheleau of the Globe staff contributed to this article. Andy Rosen can be reached at andrew.rosen@globe.com. Sara DiNatale can be reached at sara.dinatale@globe.com. Monica Disare can be reached at monica.disare@globe.com.